Garmin India Pvt. Ltd has roped in India’s women cricket opener, Vanitha VR to promote its smart wearables across leading social media platforms. The sports and fitness technology firm, Garmin said its association with Vanitha is aimed to curate fitness in every individual lifestyle. On the announcement Vanitha VR said “she felt honored to be associated with GARMIN, a technology leader worldwide.Today, technology is playing major role in all spheres of life and so in sports. With its in-house technology and advanced features, Garmin is supporting all individuals to measure good quality life. With this association, we would be mutually promoting sports and fitness for everyone” she explained. Garmin known for its range of Global Positioning System (GPS) is currently expanding its operations in India. It reported 100 % growth in volumes, last year. It plans to set-up six more outlets across major Indian cities this year. Garmin offers smart wearables across price points with dedicated devices for golf and cycling activities amongst a range of other products. Recently, Garmin India has also launched its first ever lifestyle watch – Instinct in India, a strong and durable GPS-enabled smart-watch with built-in 3-axis compass and barometric altimeter plus multiple global navigation satellite systems (GPS, GLONASS and Galileo) support and wrist-based heart rate monitor. 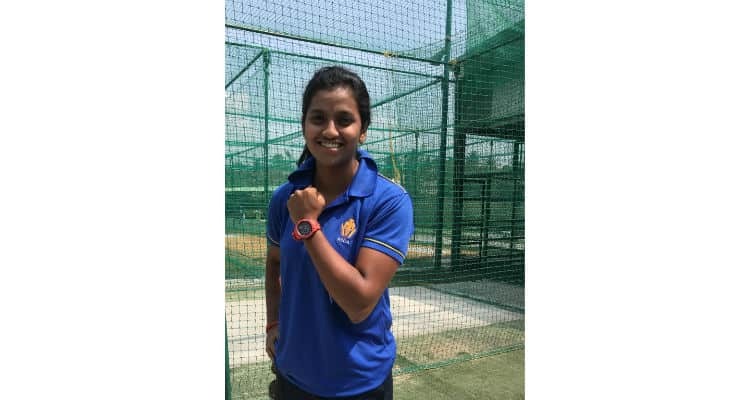 GARMIN India ropes in Indian batswoman- Vanitha VR as its brand influencer 0 out of 5 based on 0 ratings. 0 user reviews.